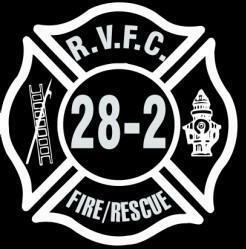 On behalf of the Robertsville Volunteer Fire Company #1, we would like to wish you and yours a very Happy and Safe New Year 2017. With the New Year upon us, we are already 3 calls for service in and would like to congratulate our Line Officers and Executive Officers for 2017: Chief Brandon Beja, Asst. Chief Ron Boyce Jr., Captain Nick Castillo, 1st Lieutenant Matt Spadaro, 2nd Lieutenant Rob Ryan, Fire Police Chief Rob Vitale. /// President Matt Molloy, Vice Pres Nick Milano, Treasurer Oren Schaham, Secretary Mike Caracciolo, Trustees Nick Milano, Kevin Tormey, and Jim Velez. Good luck to you all! Thank you to all the brave firefighters who put their lives on the line every time they go to fight a fire. God Bless all of you. Remembering FF Kevin Apuzzio, East Franklin FD. 13 years have passed. Never forgotten!When a person is given the chance to live on this earth, you have one opportunity to leave your impact on this world and it’s your choice whether it be a positive or negative. So many people in this world take life for granted, not the man we are about to describe to you from this point forward. Kevin Apuzzio, born in Union Township, NJ chose from day one on this earth that he wanted to shine his light in a positive way and lead by example. Kevin was an alter boy at St. Michael’s Catholic Church in Union, where he was always trying to follow in the path of God. Kevin was a Volunteer EMT with the Union Twp. Emergency Medical Unit, where he rode countless nights at the squad protectingthe members of his community. As soon as Kevin completed his High School Diploma, he moved onto Rutgers University and choose to major in Criminal Justice and Psychology, with aspirations of becoming a Police Officer. While in his early years at Rutgers University, Kevin obtained a job with the Rutgers University Emergency Services as a FF/EMT and put to use his past experience, to now aid his fellow students in times of need. Kevin later was led to join a Volunteer Fire Department, called The East Franklin Fire Department, in an effort to further his abilities in helping protect lives and property. Kevin had the type of personality you always wanted to be around, he lit up a room with his smile and exemplified what a world class citizen is. He would give you the shirt off his back and the last bit of change in his pocket. April 11th, 2006 to some was just another day, to Kevin and those that knew and loved him, this would be a day we would never forget. On this day, the East Franklin Fire Department responded to a working Structure Fire at 36 Whittier Avenue with a reported entrapment. As always with a can and will do attitude, Kevin got onto the fire engine and sprung into action, with the intentions to save a life. Kevin and his crew went into the burning building, through the smoke and located the victim. Kevin and his crew were making their way out of the smoke and flames, but unfortunately not everyone went home this day. Kevin was well-trained, smart, honest, caring and dedicated his life to serving others. Today we will not mourn Kevin’s death, but celebrate his life, what he stood for and what his memory continues to do for others.